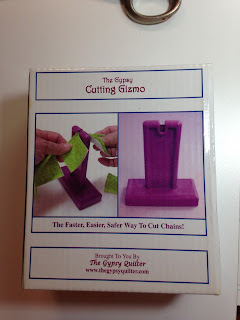 Do you remember this post about chain piecing? I chain piece whenever I can. I rarely ever have thread tails to clip. But I have threads to clip between blocks. 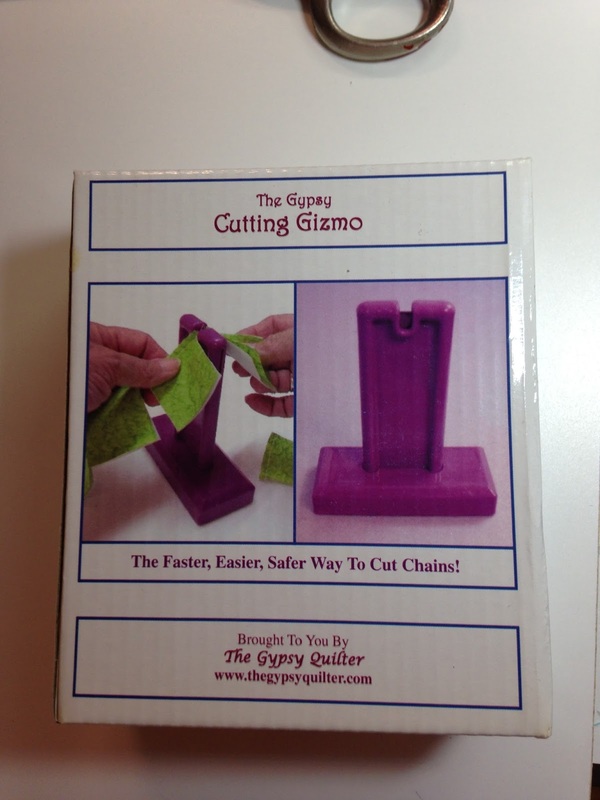 This little gizmo is the perfect way to cut the thread between blocks when you chain piece. It is so quick and easy. 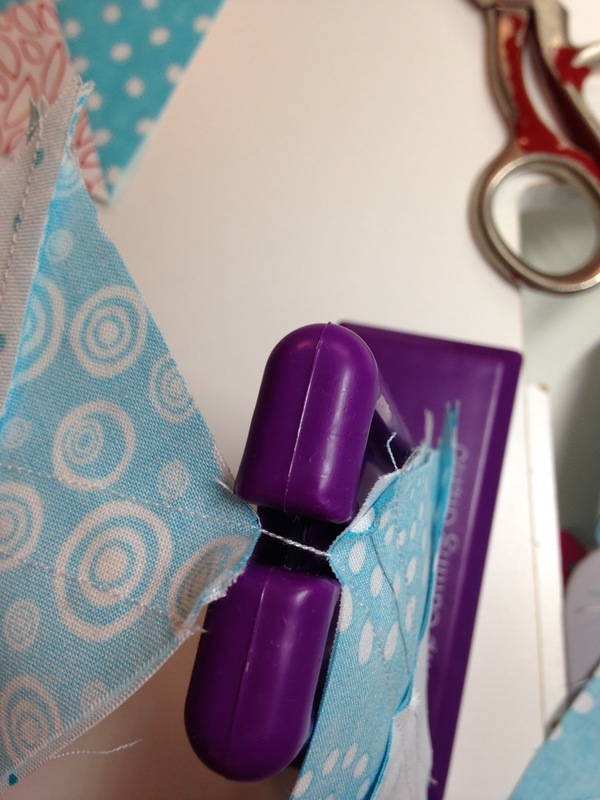 You just grab each block and slide the thread down the opening and it slices the thread like butter. I picked it up at one of the quilt shops on my Shop Hop excursion last week. I just love it. Isn't it amazing how an inexpensive, simple little gizmo can make your life so easy and make this Queen happy. Why didn't I get one of these years ago??? I've seen those quite often and wondered how well they worked. 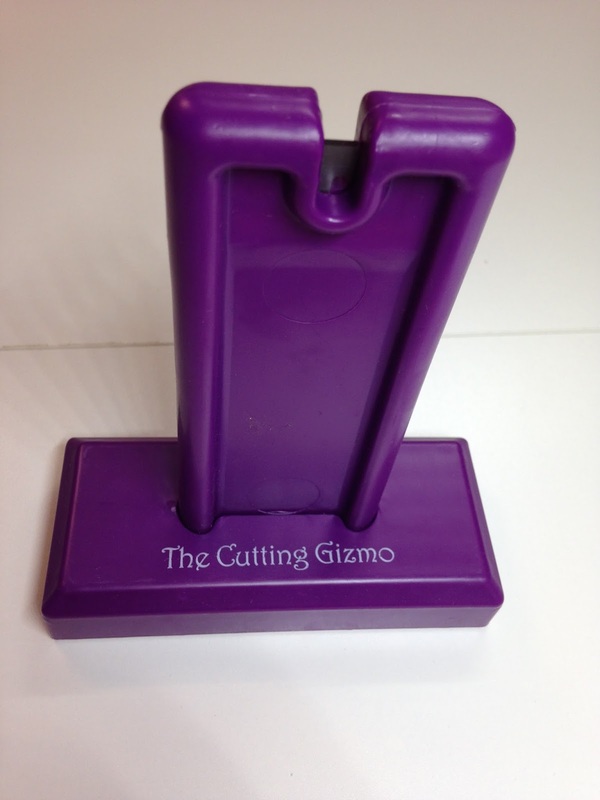 I more wondered if they have a weighted bottom or if it falls over often while cutting a lot in a row.